totally recommend it. driver was punctual , friendly, and courteous. 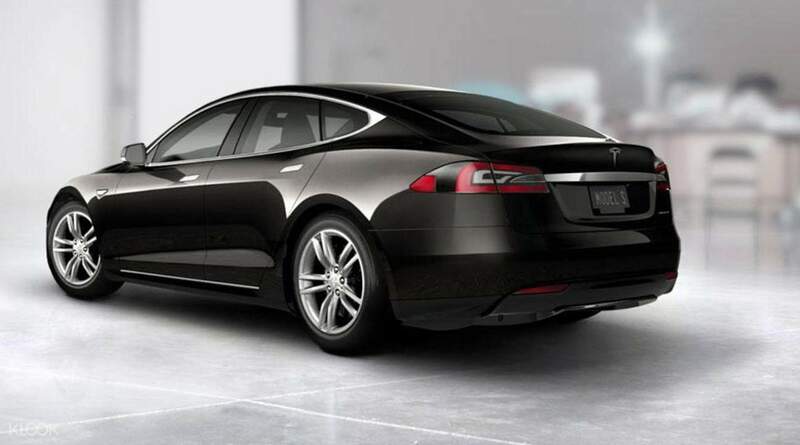 Tesla model S ride was very smooth . 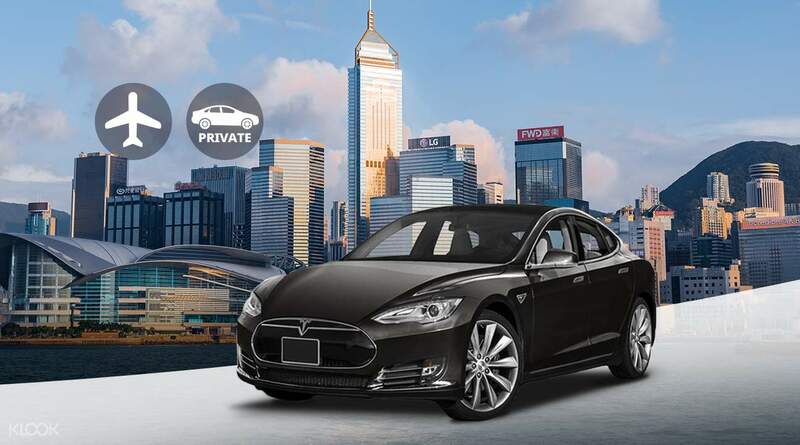 From the moment arrive, start your trip to Hong Kong in the utmost luxury by being transported from the airport to your hotel – and back, if you wish – in a luxury sedan car. 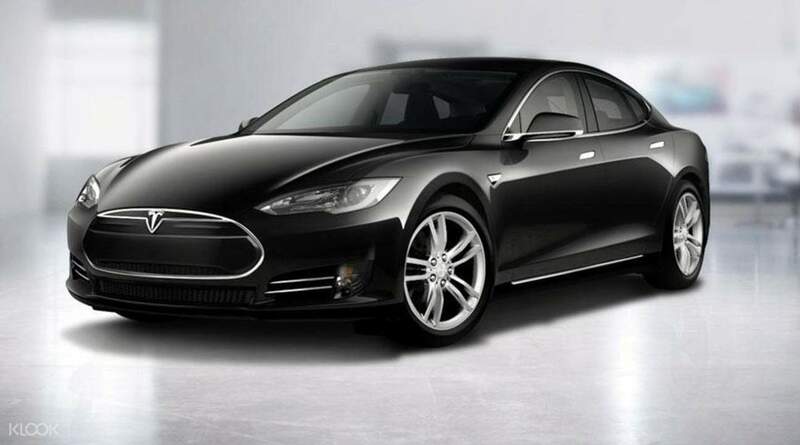 You’ll be driven in a comfortable, air conditioned Tesla that accommodates up to 3 people plus plenty of luggage space and be served by a professional airport team. All fees and charges are also inclusive, from your driver's tip to tunnel and bridge tolls. So sit back and relax as you’re whisked off to your destination in stress-free style and luxury. During the 75 minutes waiting time, the operator will contact you for confirmation. If the operator manages to contact you but already after the waiting time, you will be charged overtime fees HKD 150. The driver drives smoothly and he is courteous. He helped us with our luggages. We were also greted by a Klook staff and introduced us to our driver. The only problem is that the car aircon is not cool or his setting is low. I asked him to make the aircon cooler but I think he did not understand me. He doesnt speak so maybe he does not know how to speak much English but its okay. The driver drives smoothly and he is courteous. He helped us with our luggages. We were also greted by a Klook staff and introduced us to our driver. The only problem is that the car aircon is not cool or his setting is low. I asked him to make the aircon cooler but I think he did not understand me. He doesnt speak so maybe he does not know how to speak much English but its okay. What a great experience going to central via tesla. It was hassle free and the driver is veryy accomodating. Driver here are girls which is they are an amazing and safe drivers. Thanks again klook.! They got my family safe in Tsim Sha tsui! What a great experience going to central via tesla. It was hassle free and the driver is veryy accomodating. Driver here are girls which is they are an amazing and safe drivers. Thanks again klook.! They got my family safe in Tsim Sha tsui! Wow, great service. Awesome experience. English speaking driver. Pick on time, was informed in advanced. Complete assistance from start to end. Very good driver. The car was clean and awesome. A fast journey from the airport to the destination. Great discount by klook on this journey. Thanks for the services. Will keep using klook for all my future needs. Recommended for all. Thanks for the services and discounts. Wow, great service. Awesome experience. English speaking driver. Pick on time, was informed in advanced. Complete assistance from start to end. Very good driver. The car was clean and awesome. A fast journey from the airport to the destination. Great discount by klook on this journey. Thanks for the services. Will keep using klook for all my future needs. Recommended for all. Thanks for the services and discounts. I would say thanks to the driver because I suppose to land at 7pm bt my flight delay n landed at 8:30pm.He waited is for 90mins without any charge.He help us to push our luggage.The car is really comfort,clean n goes smooth all the way to the hotel.My kids feel so happy to seat on such a cool car which Singapore don’t have.They even fall asleep in car.i highly recommended. I would say thanks to the driver because I suppose to land at 7pm bt my flight delay n landed at 8:30pm.He waited is for 90mins without any charge.He help us to push our luggage.The car is really comfort,clean n goes smooth all the way to the hotel.My kids feel so happy to seat on such a cool car which Singapore don’t have.They even fall asleep in car.i highly recommended. Wow, great service. Awesome experience. English speaking driver. Pick was late by 10-15 minutes due to traffic, was informed in advanced. Complete assistance from start to end. Very good driver. The car was clean and awesome. A fast journey from the pick up location to airport. Great discount by klook on this journey. Thanks for the services. Will keep using klook for all my future needs. Recommended for all. Wow, great service. Awesome experience. English speaking driver. Pick was late by 10-15 minutes due to traffic, was informed in advanced. Complete assistance from start to end. Very good driver. The car was clean and awesome. A fast journey from the pick up location to airport. Great discount by klook on this journey. Thanks for the services. Will keep using klook for all my future needs. Recommended for all. This was the first time we use Klook for hiring car which was referred by my son. We found the booking process is quite simple and easy and the service charge is reasonable. It was a morning flight we needed to catch for Bangkok and the driver sent us WhatsApp informing us already arrived and waiting downstairs to pick us up. He was not only punctual but 15 minutes ahead of schedule that’s very comforting as long as my wife is concerned. The car is clean and the driver is friendly and helpful. We will use Klook again for our future trips. This was the first time we use Klook for hiring car which was referred by my son. We found the booking process is quite simple and easy and the service charge is reasonable. It was a morning flight we needed to catch for Bangkok and the driver sent us WhatsApp informing us already arrived and waiting downstairs to pick us up. He was not only punctual but 15 minutes ahead of schedule that’s very comforting as long as my wife is concerned. The car is clean and the driver is friendly and helpful. We will use Klook again for our future trips.